Answerplus is a company that understands the customer interaction on each and every call we handle must be precisely directed and answered. We use technology products from well-known vendors such as Cisco, Microsoft, Hewlett-Packard, Dell, AmTelco and SunWire, allowing us to build complex service solutions to respond to the greatest demands in the customer relationship sector. Due to the large amount of information that moves through our systems we take security very seriously. We use industry standards security protocols and appliances, and our experienced technical staff is responsive to the needs of our clients. 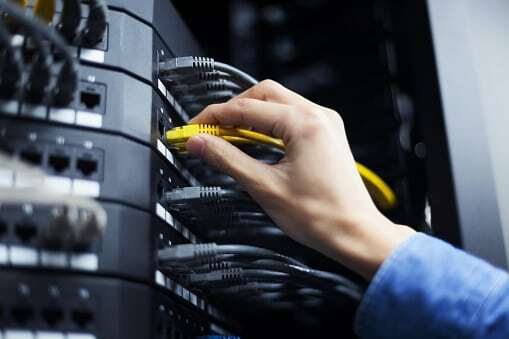 Our data center is equipped with the latest technology and can be expanded to meet the growing needs and performance demands over the life of any project. Answerplus implements industry standard storage mechanisms to ensure the availability and integrity of all data. All critical data is backed up and stored offsite. Our technical staff follows standard operating procedures and strict policies to ensure the confidentiality, integrity, and availability of stored data. To ensure continuity in the case of a disaster, Answerplus maintains a comprehensive disaster recovery plan. This plan includes all policies related to backup and restoration of data, backup power supplies, redundant systems, potential scenarios, and the procedures to follow in the event of a disaster.